It’s just before noon and Ric Robertson heads out the door on an already sweltry New Orleans morning. A short walk into the French Quarter and his day begins. He spends the next few hours at the piano, lending his honey-warm voice to the swampy tunes of Bobby Charles. As the day begins to cool, Robertson heads inside and picks up a Telecaster in one of his numerous bands, this one playing the songs of Willie Nelson. He hops seamlessly to drums, to bass, and back to keys, transitioning into a set of funk tunes à la Sly Stone. Late into the night Robertson commands the room, leading the band through deep cut covers alongside his own original songs in a voice as nimble and beguiling as his predecessors. This voice spills out onto Frenchman street and into the world on his debut album, The Fool, The Friend, out June 29, 2018. Ric Robertson’s inviting vocals, arresting musicianship, and otherworldly sense of songcraft have brought him close to a community of artists forging a new sound in Americana. The Fool, The Friend is coming out on celebrated Appalachian newcomer Dori Freeman’s new record label, Blue Hens Music, and features Freeman herself on harmony vocals along with her husband Nicholas Falk, plus Phoebe Hunt, Brother Roy, and Duncan Wickel. The album also features Oliver Wood of The Wood Brothers, and Robertson is currently on tour playing with Grammy-winning artist Rhiannon Giddens. Alongside these musical companions, Ric Robertson is teasing out a musical vision rooted in the soil of American music, shifting between genres with gleeful ease, reframing and defining what Americana means. Like New Orleans itself, Ric Robertson’s music is a swirling blend of sounds, traditions, and stories that form something completely distinct. Though it knows and loves its musical forbears intimately, it won’t be claimed by one single musical influence. Robertson conjures this musical pedigree into a cohesive potion, a finely-tuned sonic concoction with just enough rock n' roll to kill, just enough blues to keep you alive, and just enough country to make you hold on to love. It's stirred by Robertson's distinct voice: sweet, enticing, and contoured with the finely subtle grit of Mississippi River silt and the warmth of vintage vinyl. As a songwriter, Robertson’s gift of injecting heartbreak with a sweet and forgiving humor magnifies a natural charm. Marked with a sharp lyrical command, Robertson's songs transport listeners into emotional and visual spaces with old magic, and, like a scent associated with a childhood memory, leave listeners with the sense that they’ve known even his newest tune by heart for their whole lives. Ric Robertson is an artist with the chameleon-like ability to transmute from emotion to emotion, genre to genre, and instrument to instrument, all the while illuding listeners to believe that there is no sorcery involved - just damn fine tunes. 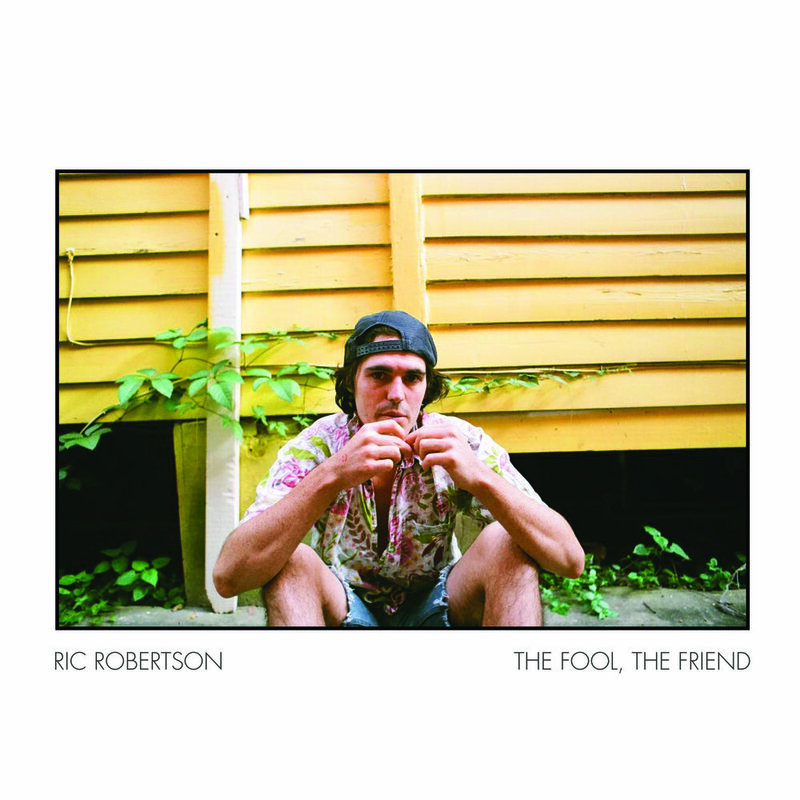 But Ric Robertson conjures magic on The Fool, The Friend, and it’s a spell you’ll wish to be under again as soon as it’s over.